Some Walking Dead games are good! Others are poop. Who knows where this big arcade shooter will lie on that spectrum, but if anything we can at least revel in how expensive the whole thing looks. 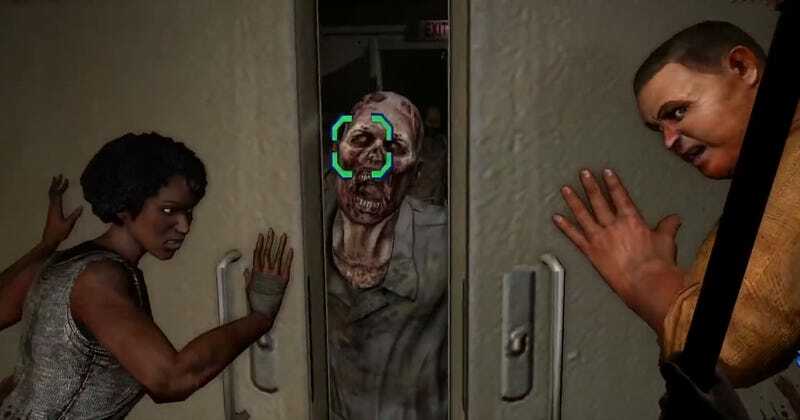 Called simply The Walking Dead, it’s a fancy cabinet shooter that uses a crossbow controller and has lights in the roof that react and flash according to what’s going on on the screen. It’ll be out in January 2017.